The eyelash is one of the best features of a woman. In fact, many guys are attracted to women with beautiful and attractive sets of eyelashes. This is the very reason why many women do all their best to enhance their facial features, and this includes the enhancement of their eyelashes. In addition to the use of mascara, one can have many different ways to make your eyelashes look longer and fuller. Some of the most common products that are used to enhance the looks of the eyelashes include eyelash extensions, eyelash curlers, and false eyelashes. Here are some important tips for you to follow to make your eyelashes look stunningly beautiful and in the process attract more guys along your way. If you want to have a dramatic effect on your eyelashes then eyelash extensions are the best bet for you. This option may be the best one because it also comes at an expensive price. As a matter of fact, eyelash extensions can cost you something like 400 dollars for the initial treatment. The process will take about two hours for the completion of the attachment of the eyelash extensions by a professional. After the process, you have to return for the filling of lashes after one to two weeks and prepare your 100 dollars every succeeding meeting. Since this eyelash enhancement procedure is kind of expensive, many women use it during special occasions to justify the high cost they will be spending for the procedure. The extension eyelashes are made from synthetic materials, meaning artificial hair. The procedure can be a bit tough and painful because each of the extensions is glued individually on the lashes. Maintaining these eyelash extensions can be very expensive so most women with such extensions decide not to continue filling them again. These women just let these extensions work loose allowing them to fall one by one. If you want to, eyelash extensions can be done professionally. However this could mean one more expenditure on your part. But there are few simple and easy techniques today that work well and can be done at home on account to the removal of these eyelash enhancers. If you want to remove your eyelash extensions without having to spend money again, the first thing that you need to do is to steam your face over a hot pot or pan of water. Apply olive oil to loosen the glue which has been used to attach the extensions to your lashes. Leave the oil to stand for quite some time. After a few moments, you can now remove the extensions; you will notice that they are easily removed because of the steam and olive oil effect. Another eyelash enhancement is the use of false eyelashes. These products are very much available as they can be purchased in most drug stores and can be applied easily right in the comfort of your home. Prices of eyelashes may vary from one to another depending on the quality. There are pairs that can cost you to a low of $5 up to a high of $30. If you do not want to make use of eyelash extensions or false eyelashes to enhance your eyelashes the there is another option that you may want to use – the mascara. 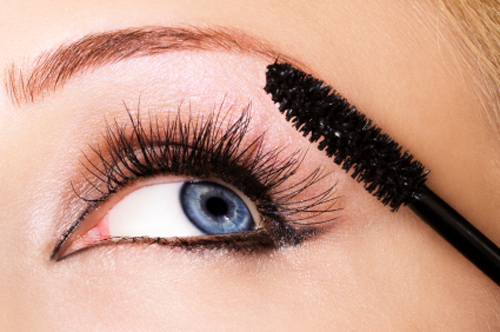 With the use of mascara, your eyelash will become fuller, darker, and longer. 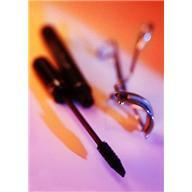 Plus, eye mascaras are conveniently found in many drug stores, department stores, and supermarkets near you. An eyelash curler should always go along with mascara most of the time. According to beauty experts and professionals, it is always advisable to make use of eyelash curlers first before applying mascara. For best results, experts recommend a technique in using eyelash curlers: starting at the base of the lashes, exert light pressure for about twenty seconds on these parts. This will dramatically curl the lashes. Apply mascara immediately to retain the enhanced and curly effect. Those are some tips and guide that you may want to know when it comes to eyelash enhancements. They can all be used every day and for all types of occasions. So whatever you choose, you are assured that your eyelashes are enhanced with these eyelash enhancers. This entry was posted in Beauty Treatments, Eyelash on January 30, 2012 by Marjorie.